World Be Live (2CD/3Vinyl Standard Edition) This thread currently has 1,087 views. While we maniacs will have the ltd. edt. mailed to us, I can't wait to see this in shops. It should be eyecandy compared to other drab vinyl on the shelf. 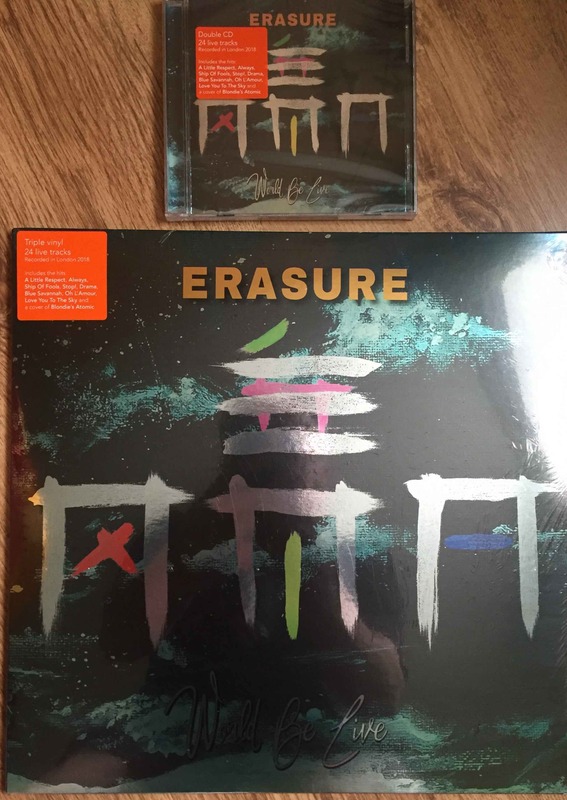 Following the sell-out of the Deluxe Erasure Information Service/Live Here Now formats of the release, Erasure will release a standard retail edition on Mute of World Be Live, a 24-track live album recorded in London in February during the band's "World Be Gone" tour, on Friday 6th July 2018. 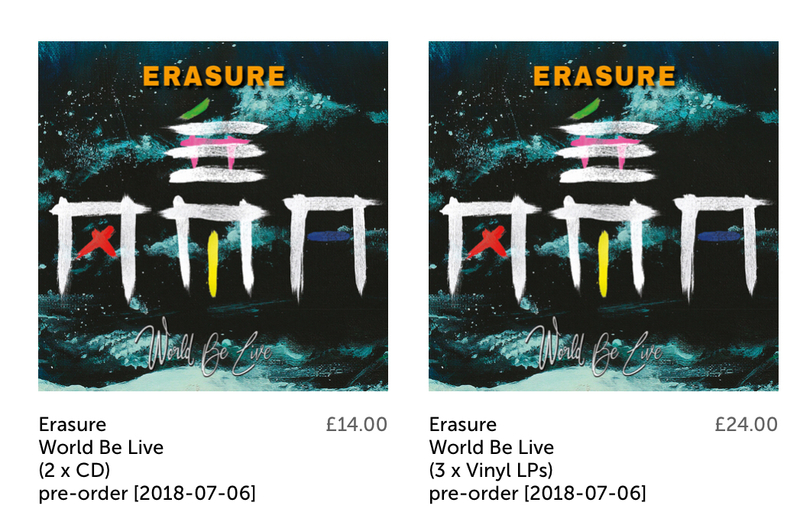 Erasure - World Be Live (Mute Edition) is now available to pre-order in Double CD and Triple Black Vinyl formats. Also take a look at the Coming Soon section of our site for all our current pre-orders, plus the New Releases section for all our latest releases. 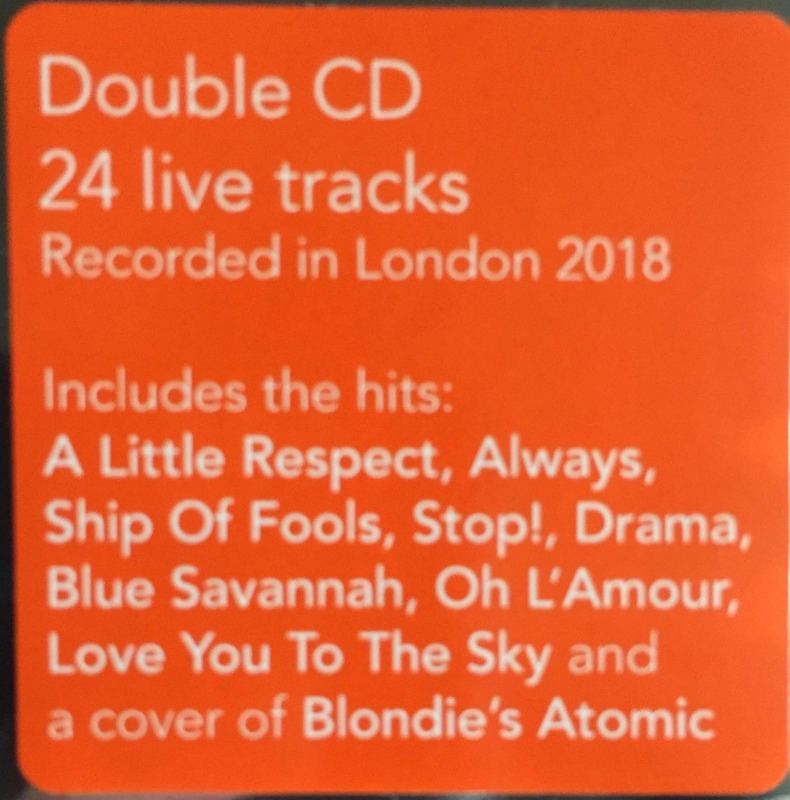 It's been another week of glee and excitement as more and more of you have received your deluxe EIS/LHN editions of 'World Be Live', and while I know that most you have already purchased that version of the album, this is a reminder for anyone who has been hanging on for the regular retail editions. First of all I need to let you know that while the release date for the download edition of the album is still July 6th (and if you pre-order, or have already pre-ordered, from iTunes then you will also qualify for immediate downloads of 'Love You To The Sky' and 'Phantom Bride', just to get you in the concert mood! 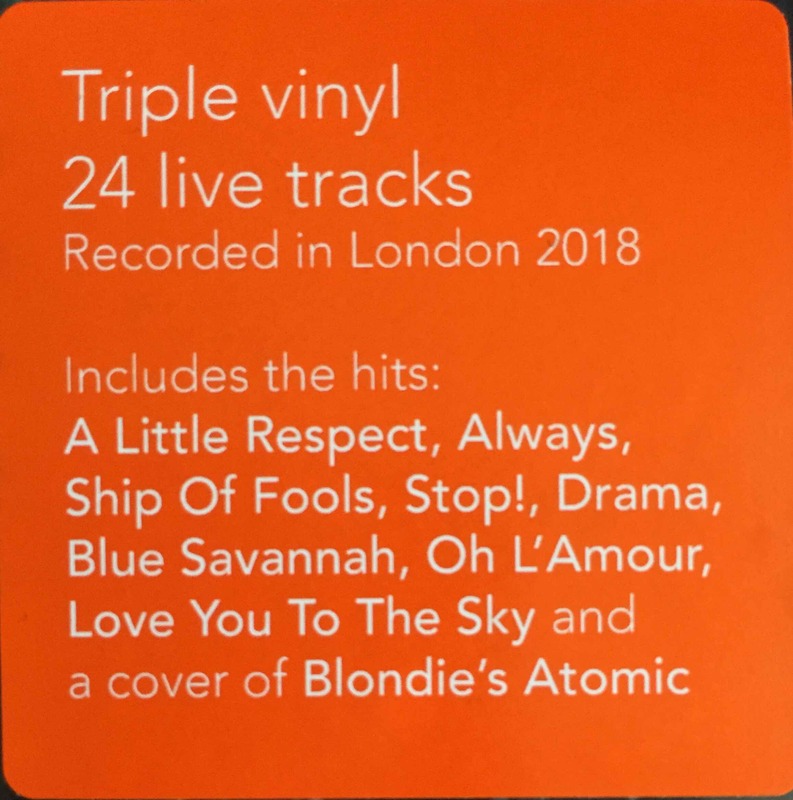 ), the release date for the CD and vinyl editions has slipped a week to July 13th, however that DOESN'T apply to the North American release which WILL be out on July 6th to coincide with the first show in the North American leg of the tour (and the 2-CD album will be available from the merchandise stand at all those dates). Either way the album is available for pre-order right now, the main pre-order links are available here, and you should also be able to pre-order the album from all other good online and offline retailers wherever you are in the world. I love the packaging of this album, very well done I must say. Who is the singer Andy keeps mentioning before Take Me Out Of Myself? I can never quite catch the name. Anybody got any idea? Why should anyone order the 'Mute' edition?.....meaning, whats the difference besides colored vinyls? 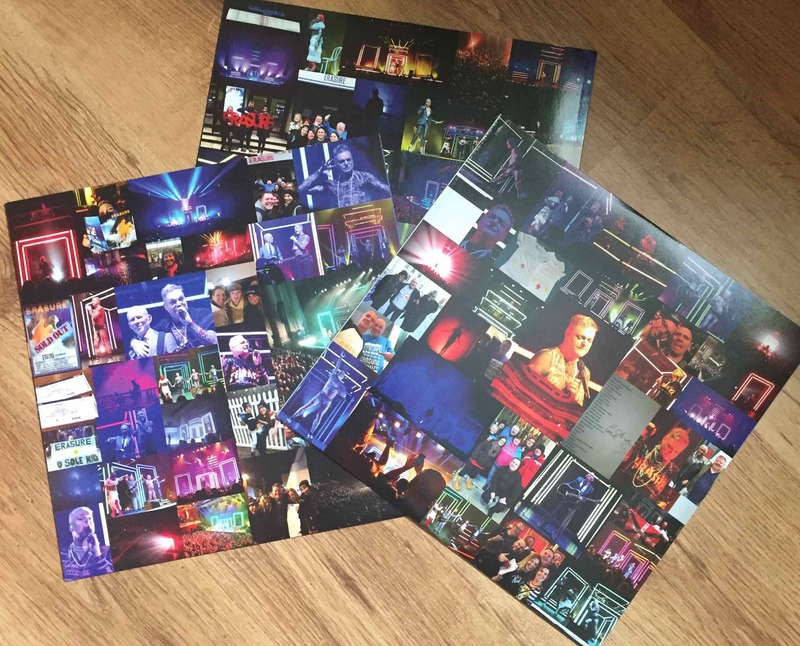 As far as I’m aware the only difference is the colour of vinyl and the fan photos booklet/art print will be missing. The CD is in a jewel case rather than a gatefold digipack also without fan photo booklet. 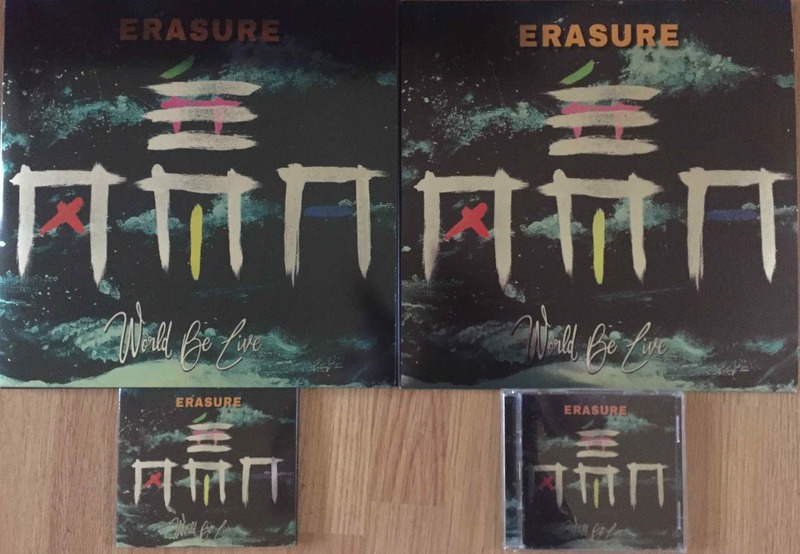 I don’t know if the Mute version comes in a tri-fold sleeve like the EIS edition or just an extra-wide normal ‘pocket’ sleeve? 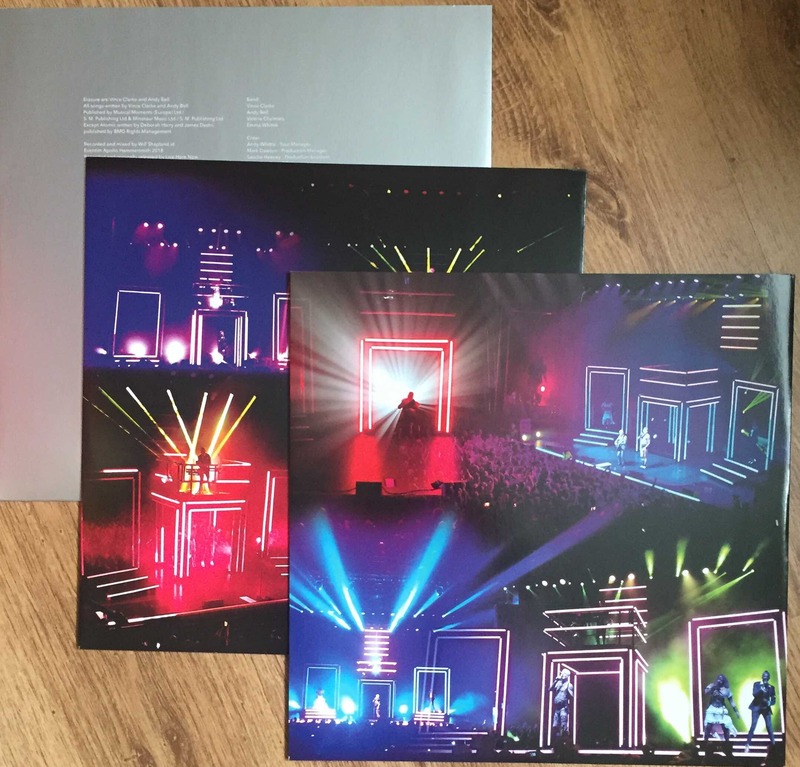 Both Mute versions are mirror finished,plus booklet contain fan photos as do triple vinyl covers. So in effect apart from colour of vinyl there isn’t a lot of difference. 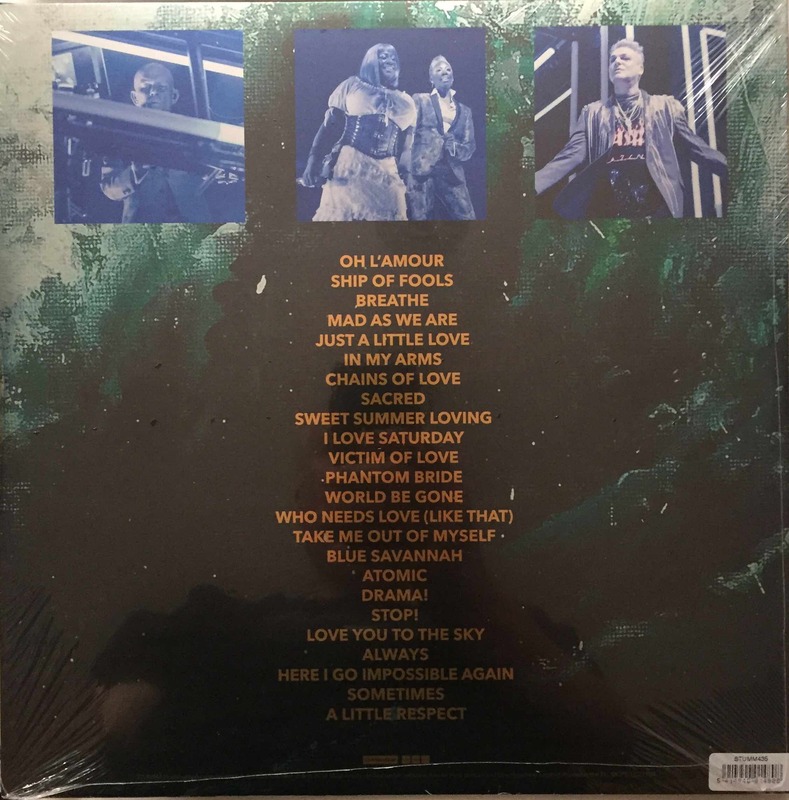 The fan names are not included as was mentioned before preorder,and the vinyl album is just a single cover housing the 3 discs. So Mute issued this as Black vinyl? The standard vinyl still looks very nicely done then, but the EIS edition was worth the extra IMHO.